One of the things we like best is when things are simple to use and they work – just like Rapp-it. Our new catalogue is exactly that, simple and easy to use. It is designed to be all you need onsite, your go-to manual on Rapp-it. The handy index guides you to what you want to know. 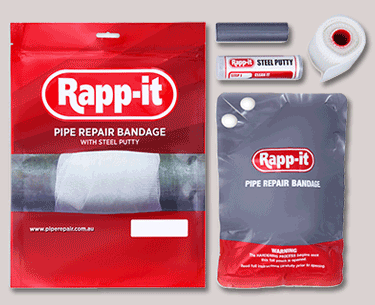 We have product specifications, technical data and the MSDS sheets for both the Rapp-it Bandage and Rapp-it Steel Putty plus more. 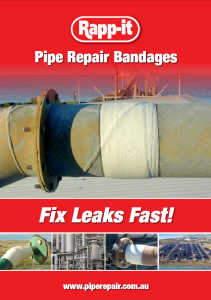 Read it now our website or download it to have on hand at all times.